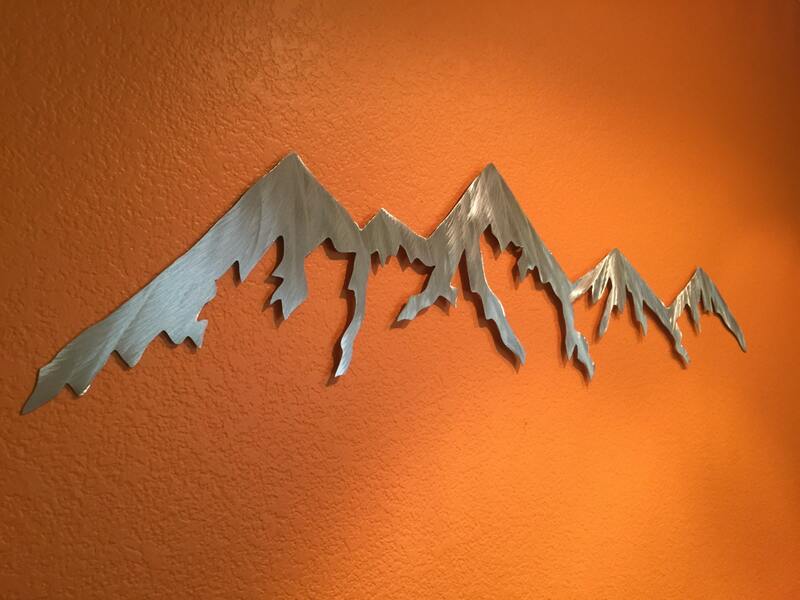 Thanks for your interest in my Colorado Mountain metal artwork. The dimensions for the listed item is 10" tall by 48" wide. This metal artwork is made by hand with aircraft aluminum that will not rust or tarnish over time. Looks great inside on walls and tile, or outside on the front of the house or fence. 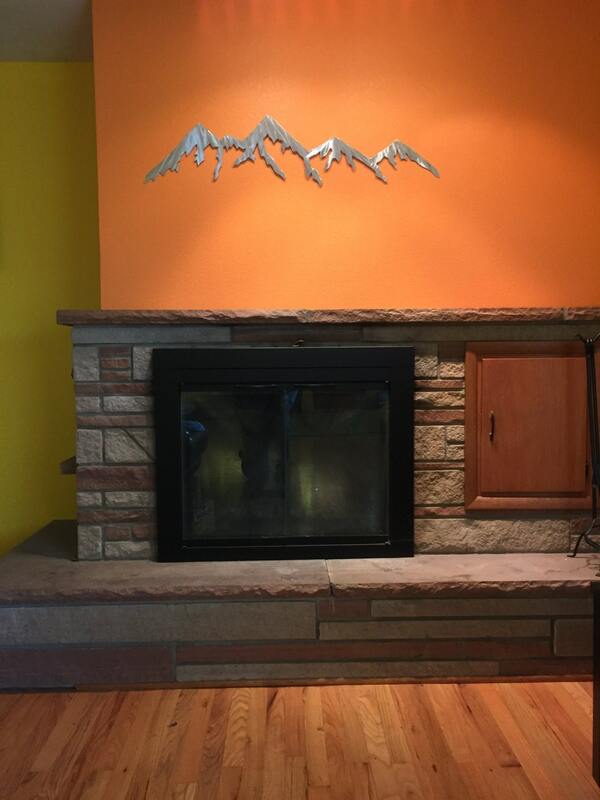 Bear Mountain Metal Art is based out of Fort Collins, Colorado and operated by artist Bobby Singleton. 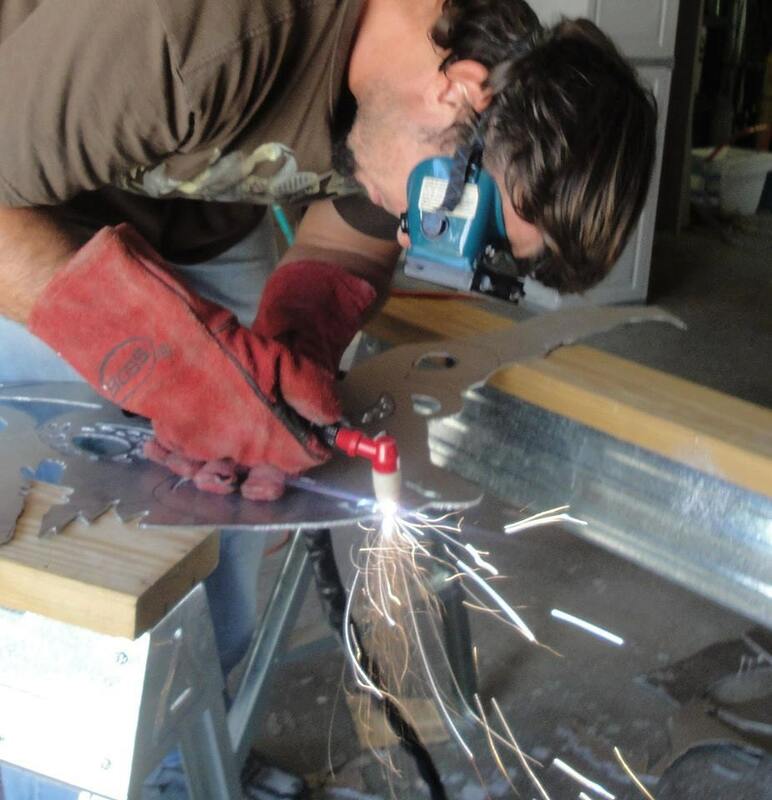 Artwork is made by drawing the design out on a sheet of aircraft aluminum and using a hand held plasma cutter to cut out the shapes for the piece. After that Bobby grinds pattern into the aluminum to add texture and depth. 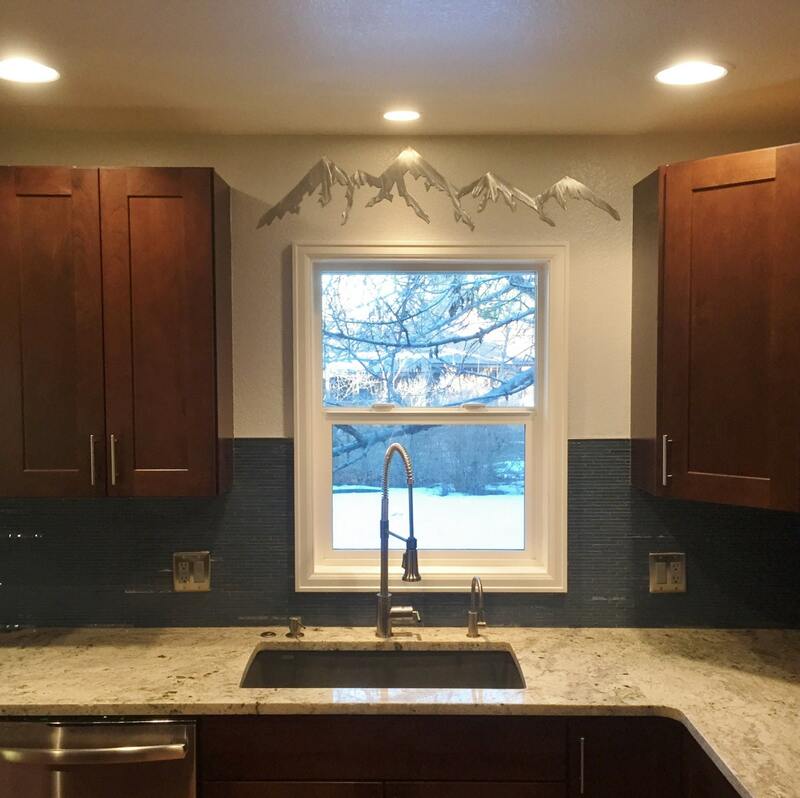 After that he seals the piece with three layers of automotive clear coat for a beautiful finish that allows the artwork to be hung inside or out in the elements. The end result is a one of a kind piece that looks great inside on a wall or out on the deck. Bobby gets his inspiration from the wildlife around him and his many years of exploring Colorado’s backcountry. Beautiful work!! 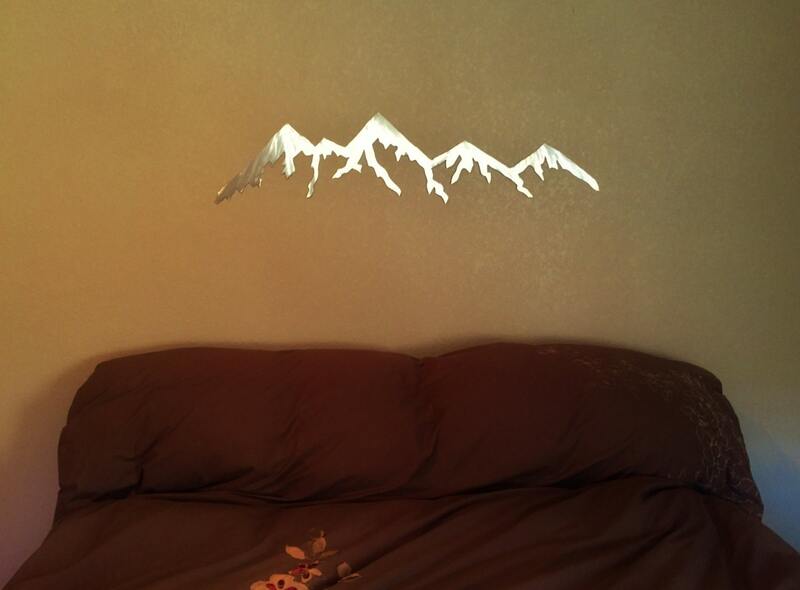 Love that my hubs and I have a piece of our time in Colorado hanging on our wall to remind us of our hiking trips. Easy to put up and thank you for the nails that were included! Seller has great communication skills. Shipped quicker than expected. 5 Stars. Great handmade gift!